Locksmith Pensacola Who Do You Call When You Get Locked Out? You start getting ready to head out for work and everything seems to be going as planned. You walk through your normal morning routine. You check the traffic report and it looks like it’s backing up a bit, but not to worry because you have already gotten up early and planned for everything that could happen. You have an alternate route you can take, in fact you even know that your neighbor next door works a block from your company and leaves at the same time should you need a ride. The sun is shining, what could possibly go wrong? One turn of the front door’s doorknob tells you different. You didn’t plan for THIS. You didn’t plan on NOT being able to leave your home. Something is wrong with the lock. This may sound like a fictional story, but it’s not and we’ll prove it in a bit. In fact, we’ll even show you WHY you should choose us. It involves one of our team members climbing a balcony to save the day, so you may want to stick around and read every word here to get the details. We promise, it will be worth the wait. 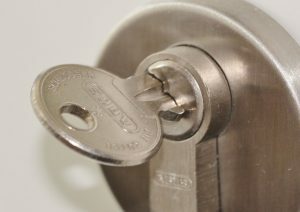 The problem with locks is they eventually go bad and need to be replaced or fixed. The problem with keys is they get lost or break in the lock. You’ll need a new lock, need a spare key or need help getting into your home or vehicle at the worst times. Like when you have to leave for work, when you are rushing to your next appointment or when you are coming home at 1:00 in the morning. That’s probably one of the reasons you are reading this right now. In fact, if you are in one of these situations and need help right away, just call us at 850-475-2225 ANY TIME of the day or night. We offer 24-hour service. Okay, like we were saying. If it were as simple as replacing the lock or getting a copy of the key, then you probably would have already done it and wouldn’t be reading this right now. The solution to your lockout problems is this – Call us and we’ll take care of it for you. Whether you need help getting into your home or getting out because of a broken lock, whether you need help with your automobile lock or even office lock, we are the preferred Locksmith Pensacola is used to calling. If it’s got a lock we can take care of it. You may or may not know who we are and how long we have been around, so please allow us to introduce ourselves. We are a family owned business and serve the Escambia and Santa Rosa counties, and have been doing so for a decade. 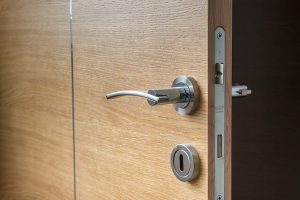 Here at A-1 Lock & Safe, you’ll find locksmith services that are licensed, insured, and bonded. We are also proud members of the Associated Locksmiths of America (ALOA), which is something we don’t take lightly. It’s also not just an association that looks good on paper so you’ll think we’re on the up and up. In fact, there’s a strict code of ethics that we need to adhere to in order to keep our membership. We also believe in putting you first. We want you to know that when you do business with us, that we’ll always put your needs above our own. Here’s what you can expect. Honest Quotes – You’ll never be surprised with the bill that you’ll get. We won’t add on unnecessary fees and work that will just pad our bank account. The quote we give you is exactly what will need to be done to get the job done, nothing more. Customer Driven – We understand that you are busy and have other things that need to get done. We also realize that in emergency situations you may need a bit more help. We’ll prove it here in just a bit. 24 Hour Service – Regardless of the time, you’ll rest easy knowing that help is just a phone call away. Whether it’s early morning, late night or the middle of the day, just give us a call and we’ll help you out. Licensed, Bonded and Insured – We ensure that any damage that is done will be cared for. Our licensing, bonding and insurance will assure of that. Commercial, Residential and Automotive Services – Never worry if your specific lock needs are out of our scope. We handle any and all lock issues for your business, home or even automobile. Remember when we said early on that the story wasn’t fictional, and just above when we mentioned that you may need more and help? We strive to go above and beyond for you. We know how stressful it can be when you are locked out because of a lost key, when you need to get a lock fixed or even if a key accidentally breaks inside of a car or home door lock. It’s not the most pleasant thing to go through. Add on the fact that you may be late for work, that you may be in a hurry to pick up your kids from school or that you just may be stuck standing outside in the middle of the night, and it’s a recipe to lose your cool. We don’t want you to though. We can handle it for you and all it will take is just a quick phone call. Just pick up the phone and call and your problem is solved, seriously. From the initial phone call to completing the job we’ll let you know what’s going on at each step of the way. You’ll understand what needs to be done, we’ll make suggestions on alternate repairs to ensure you get the best service in addition to the best cost. If you request it, we’ll give you the estimate up front so that you’ll know exactly what you can expect to pay. In fact, when we are done we will give you a receipt of the exact services that were completed for your records, should you need it in the future. We understand that to some degree, locks control part of our lives – to keep us safe, keep us protected and to keep intruders out. However, locks can’t do that if they are broken or don’t have keys you can use to get in and out. When it comes to Locksmith Pensacola needs, we are the preferred choice. If you ask any of our previous customers they’ll tell you the same. Don’t take a chance when it comes to repairing a broken lock. Don’t try to do it yourself, because it could make the problem worse. It’s easy, just give Pensacola, Florida’s top rated local locksmith service provider a call at 850-475-2225. You can even get 10% off when you mention seeing the ad on our website. In fact, if you’re lucky, we just may climb a balcony for you. Don’t hesitate, give A-1 Lock & Safe a call today at 850-475-2225. Our locksmith specialists have over 15 years’ experience working in the locksmith industry and continue to learn the latest technology every day. A-1 Lock & Safe is licensed, insured, and bonded for your protection. We are also members of the Associated Locksmiths of America. Before each appointment, our Locksmith Specialists contact you to confirm the location and services needed, whether you’ve locked keys in your car or need a commercial locksmith. If requested, we offer our customers total prices up front to avoid any surprises at the completion of the job. Before we begin, we also evaluate the services needed to determine if a better solution can be used to save our customers the most money. At the end of each job, our customers are given a receipt of services completed for their records—just another way our honest services are here to serve you. No matter your needs, A-1 Lock and Safe will be the affordable locksmith you need. A-1 Lock & Safe is a family owned and operated locksmith company. We are local residents of the Gulf Coast and take great pride in being affiliated with this community and making it safe. Efficient service when you need it most, our emergency locksmith services will be there when you need them, where you need them. Call now and we’ll be there as soon as possible!